WI Library Action Day for 16th September. GCSEs: sloppy grammar will cost pupils one in ten marks – Telegraph. Cornwall: Up to 30 managers (all) to go. Staffing reduced to, in some cases, one paid member of library staff per library. Non-library staff from other “face to face” services to be used instead. Oxfordshire: Campaign groups: Save Our Library (Sonning Common), Save Oxfordshire’s Libraries (Facebook), Blackbird Leys (Facebook), Save Headington Library, Old Marston (Facebook), Friends of Summertown Library, Save Bampton Library (Facebook), Friends of Benson Library, Save Deddington Library, This is Our Woodcote Library. Surrey: Campaign group: Byfleet Library Action Group. Barnet – Confusion surrounds plan to relocated HGS library into Institute – Barnet Today. Institute says it is not possible to locate library there, Artsdepot says it has not been asked by Council to locate two libraries there. 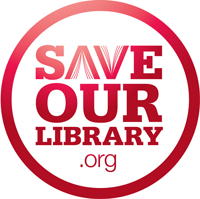 Brent – Labour MP Barry Gardiner donates to campaign to save Brent’s libraries – Save Kensal Rise Library. “Labour MP Barry Gardiner has donated to the campaign to save Brent’s libraries. The Brent North MP is backing the campaign to save the six libraries under threat, which are heavily used by young people in the borough. Fundraiser: City of London guided walks – Save Kensal Rise Library. Cornwall – Library service fears raised – Falmouth Packet. “Liberal Democrats at Cornwall Council have claimed that a plan to strip out managers from the county’s libraries could damage the service for users.” – Council claims most public “will not notice any decline” as up to 30 managers cut and library staff culled. Non-library staff to be used from other “face to face” services. Print article This entry was posted by Ian Anstice on August 25, 2011 at 10:27 pm, and is filed under Uncategorized. Follow any responses to this post through RSS 2.0. You can skip to the end and leave a response. Pinging is currently not allowed. Good to see people taking a stand with this event. Library closings are horrible, and I worry that a lot of powerful people will never understand the value they bring to their communities.